On a balmy Wednesday morning, bike racks outside the Thompson Center are clogged with cycles. The drum-shaped building is nicknamed the “Tom Tom” by messengers who chill in the plaza while waiting for work. 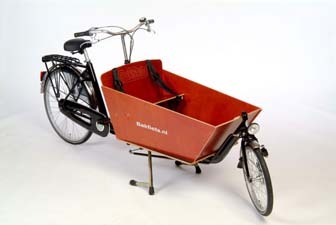 But today a cleaner-cut crowd has pedaled here in suits and skirts for the ThinkBike symposium, “a Dutch boost to Chicago’s bike-ability.” Naturally, the collection of cycles includes elegant Dutch city bikes and hardworking bakfiets (“box bike”) cargo vehicles. The workshops, sponsored by the Dutch Consulate General and Active Transportation Alliance, bring bike-transportation specialists from the Netherlands together with their Chicago counterparts to brainstorm ways to make our city the Amsterdam of the Midwest. Rather than legalizing pot and prostitution, the goal is to bump our city’s measly one-percent bicycle mode share closer to the utopian standards of Holland, where twenty-seven percent of all trips are made on two wheels, and there are more cycles than citizens. The visitors from the Netherlands are stylishly dressed in sports jackets and Beatles boots, and most of them are freakishly tall. In the afternoon these flying Dutchmen will pedal their fietsen around town with local politicians, transportation planners and bike advocates, discussing ways to create safer, more appealing streets for cycling. Hans Voerknecht, a sustainable mobility consultant, contrasts American and Dutch attitudes towards biking and driving. While most kids in Holland bike to school, many U.S. principals forbid their students to pedal to class. “People say the car is the symbol of American freedom,” he says. “But I don’t feel free when I’m sitting in a cage, stuck in traffic.” Bike policy expert Arjen Jaarsma offeres encouragement to Chicagoans who feel that promoting cycling is an uphill climb. He shows a graph illustrating how Dutch cycling dropped off sharply with the rise of car culture after World War II and has only recently recovered to its current levels, after lots of hard work.